What you can expect from a Forrest Yoga practice? Expect to be challenged! While not the non-stop flow of a typical vinyasa class you will sweat and get stronger and get your “workout”. 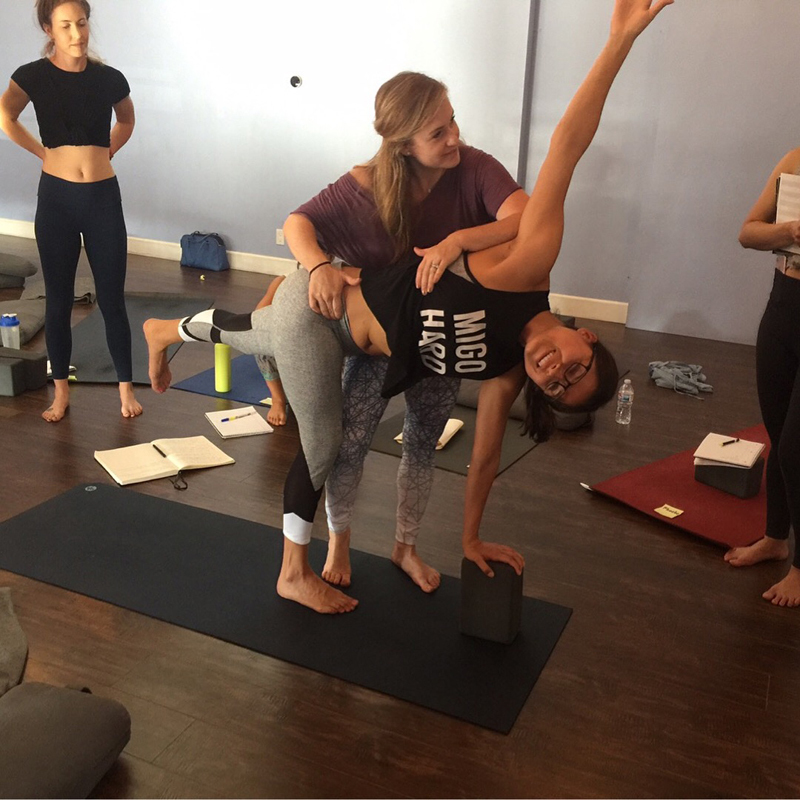 Unlike a vinyasa class you will have more time to stay with postures to go deeper, a process that can bring both pleasure or discomfort and offers you greater benefits. Expect some unfamiliar cues and postures unique to Forrest Yoga that are designed to help you unravel neck tension, help stretch and bring awareness to your hands and feet, unlock stiff shoulders, and decompress your low back. Expect hands-on assistance. Forrest Yoga adjustments are wonderful and help you to both understand alignment in poses as well as experience tactile feedback during your practice. Forrest Yoga is great for everyone but especially for those who: suffer from chronic injuries or health conditions, have sedentary repetitive-task jobs (ie lots of sitting and typing), and high-impact athletes prone to repetitive-stress injuries. The sequencing and emphasis on both strength and therapeutic release serve the above types very well. Overall Forrest Yoga is a great complement for any physical activity and can suit any body who is looking to reduce stress, breathe more fully, and have a greater sense of freedom in their bodies and lives.